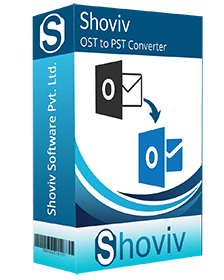 Shoviv OST to PST converter is a proficient application which helps to recover corrupted and inaccessible OST Items such as email, contact, task, calendar, Journal etc in effortless manner. It is especially designed to restore the damaged and inaccessible OST Items back into previous used format without changing items properties. The software works efficiently in the field of data recovery and data migration without having any restriction on OST size limits. *Free Download allows to convert & save 25 items/folder from OST to PST. Shoviv OST to PST converter helps to convert OST to PST file without changing any item properties. The software is compatible to work with all Outlook & Windows operating system in flawless manner. 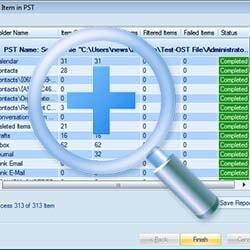 Shoviv OST to PST converter has powerful algorithms to recover multiple OST Items without any size limitation. Before initializing OST to PST conversion, one can see the preview of recovered OST items using the preview option. Thus, user may cross check the OST items such as attachments, contacts, notes and other items in order to save the valuable time & assures about the accuracy and integrity of the software. The software helps to retain the hierarchy of the folder without diminishing the structure of email content from recovered OST files. Intact properties of the mailbox and maintaining hierarchy along with property management of each and every email content is one of the most proficient feature of the software which makes the software more valuable. The software comes with the enhanced feature which offers to migrate from OST to Office 365 mailboxes with ease. 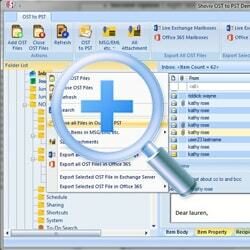 It has mapping option which helps to map OST files with Office 365 mailboxes in an easier way. It is mandatory that the given user which is used for fetching all mailboxes from office 365, should have Global Admin Right and other Office 365 mailboxes full access rights. The software is a versatile solution which is capable to export OST to Live Exchange mailbox without having any trouble. It helps to easily migrate OST file items into Live Exchange Mailboxes without having any interruption. Mapping feature allow to map OST file with Live Exchange Mailbox. To access all mailboxes of live exchange server, one must have full admin rights for the same. The highly advanced scanning mode of OST to PST converter helps to recover suddenly damaged items like contacts, tasks, notes, calendar events etc. 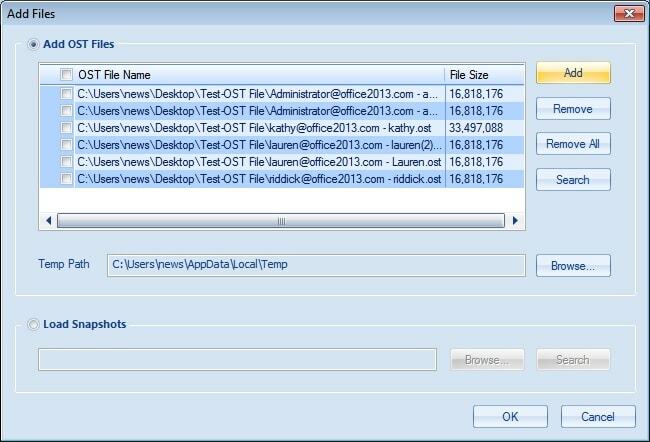 The advanced feature of this tool automatically scans the damaged and deleted OST file Items in one go. No matter, how large the OST files. The software is capable to convert large OST files to PST file format along with the recovery of inaccessible emails without damaging the quality of items. 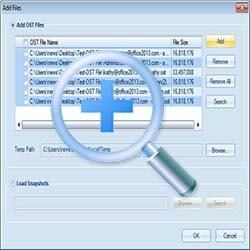 Further, associated attachment can be saved into PST file format in an easier way.. This option allows the users to split over sized files into multiple PST files based upon users requirement. Split option allows the users to choose the size of resultant PST files so that the software can produce the similar number of files as per the size instructed by the user. 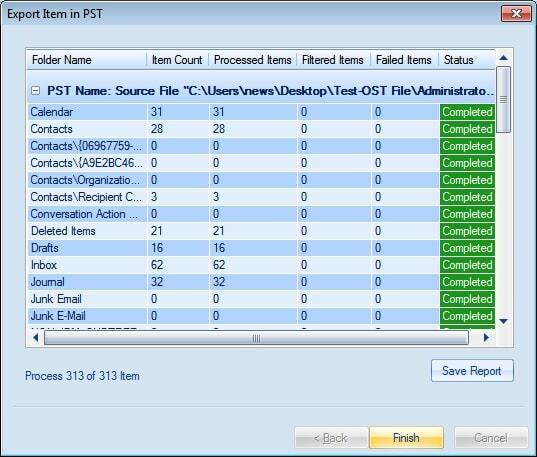 The software helps to save & restore OST emails with integrity from severally corrupt & inaccessible OST files into various files formats such as PST, HTML, EML, VCAL, VCard, MSG, etc. The recovered data from damaged OST files will be easily imported to the chosen file format from any of listed formats. Once the OST email data is recovered, the authenticity of this tool will be shown by maintenance of metadata properties like subject, to, cc, draft, notes etc. All such features will be retained and maintained without damaging any of metadata items. The software is compatible to work with all MS Outlook version & Windows operating system. It provides free trial which offers to convert 25 items/folder from OST to PST & evaluate the software functionality. However after purchase the license, there’s no bar for item limits and one can select the items as much as they need. How can I rely upon the authenticity and quality of this tool? 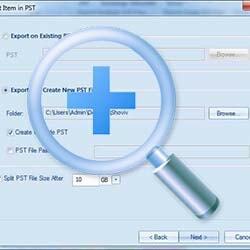 This tool is originated as an ambidextrous tool for the conversion of OST to PST file. If you want to get but not assure about its performance and capability of execution, you should try our Free mode. Using this free mode, you can use tool to recover data and can save 25 OST emails along with its attribute and metadata. So, do not worry and just try it for free. Can I get a discount while buying this product for Convert OST to PST? Discount offers are available only on special occasions. Our effective and proficient products are affordable and pocket-friendly, so you shouldn’t worry about the discount. You’ll get more than 10% of profit while using our software from the alternative store. So, place your order now to Convert OST to PST Software. 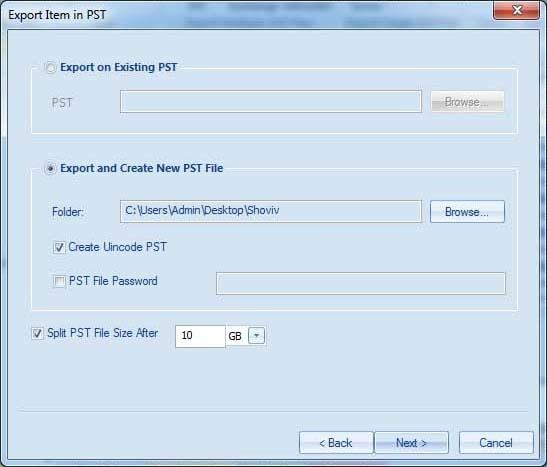 If I do not prefer to buy this OST to PST Converter tool via online mode, how can I get it alternatively? Okay, it is possible to get by knocking the reseller’s door to get this awesome product. However, the method of the purchase order is considered safe and sound, so you can go with it without any fear. If I will be stuck in any situation while using this product, what should I do? The finest way to come out of any hurdle or to resolve any issue while using our product by contacting our 24*7 support team. However, we emphasize to originate software self-narrative, and hoping that you’ll not stuck in any situation. I prefer to use an old edition of MS Outlook, will this tool work along? Yeah, why not. You can use our Convert OST to PST software along with any version. 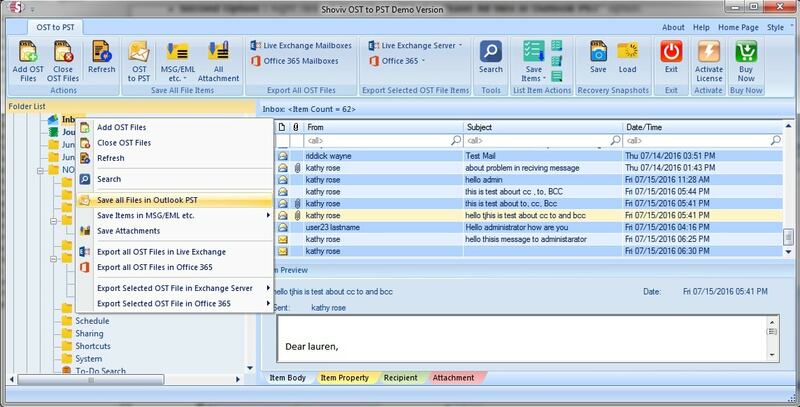 Our Convert OST to PST software is excellently integrated with tested algorithms. So, don’t worry about the version.